Jack Tanner was born in Tacoma, Washington in 1919. His father, Ernie Tanner, was a respected local leader in the Tacoma local of the International Longshoremen’s Union, an organization that Jack Tanner eventually joined when he worked on the city’s docks. Before joining the union, however, Tanner was a star student-athlete at Stadium High School in Tacoma. Upon graduation he joined the U.S. Army in World War II and served in the Pacific in a segregated unit, an experience that provided this Pacific Northwest native his first view of racial discrimination as it was practiced in much of the United States. That view would influence Tanner’s actions as a lawyer and later as a federal judge. When he returned from World War II Tanner enrolled in the College of Puget Sound while working on the docks. Upon graduation he enrolled in the University of Washington Law School and received a J.D. degree in 1955. In the early 1950s Tanner was the only African American enrolled in the law school. Even after passing the bar Tanner kept his longshore job because the prospects for black attorneys in the Tacoma area in the 1950s were slim. Jack Tanner joined the NAACP in law school and served as regional director of the civil rights organization from 1957 to 1965. While in that post he led protest marches in the early 1960s in Kennewick, Washington. Tanner’s prominent leadership role in the Kennewick demonstrations and in the state NAACP eventually led to his appointment to the organization’s national board. In 1963 Tanner was also called to the White House to advise President John F. Kennedy on race relations in the aftermath of the assassination of Mississippi Civil Rights leader Medgar Evers. Yet, Tanner did not view the problems of racial discrimination as unique to African Americans. Throughout his career as a crusading attorney he supported Native American activists in the Pacific Northwest who engaged in their own campaign against the disparity of treatment under treaties signed with our federal government. Tanner was especially active in the fishing rights protests in the Olympia, Washington area in 1966. Politically savvy, Tanner was active in the Washington State Democratic Party. In 1966 he became Washington’s first black candidate for Governor when he entered the Democratic Primary. Although Tanner did not win the nomination he did gain the attention and eventually the confidence of important Democrats like Washington’s Senators Warren Magnuson and Henry “Scoop” Jackson. 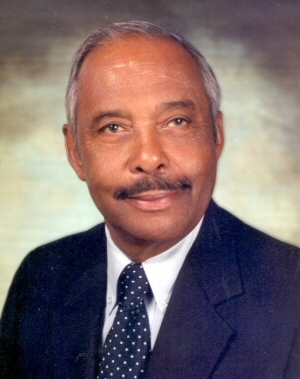 Tanner served as the Washington state campaign manager during Jackson’s unsuccessful bid for President in 1976, thus becoming one of the first African Americans in the nation to hold that post. Donald McGavick, Jack Tanner’s law partner, submitted Tanner’s name in 1977 when an opening arose on the United States District Court. In 1978, after much public scrutiny but with crucial support from Magnuson and Jackson, Tanner became the first African American in the Pacific Northwest to be elevated to the federal bench. Judge Tanner sat in both the Eastern and Western districts with a caseload three times the average assigned to other U.S. District Judges. His decisions drew controversy almost immediately. One ruling in 1980 declared that the state penitentiary at Walla Walla, Washington had violated the Eighth Amendment against cruel and unusual punishment. Another major decision in 1983 — later characterized as the “comparable worth” ruling — established equal pay for women. Although eventually overturned by the 9th U.S. Circuit Court of Appeals, Tanner’s ruling received national attention and became a benchmark for expanding the economic rights of women. Judge Jack Tanner died at his home in Tacoma in 2006. The Honorable Jack E. Tanner Papers, Washington State History Museum, Tacoma, Washington.